But before I talk tan - I need to tell you about the Avenue 57 Mitt. Miracle worker. It's hard to describe it.....it's a bit like bad blouse material - a scratchy polyester? It's also hard to believe it's going to work but trust me - this will be the best £6 you'll spend. You know all those clumpy bits of tan that linger on the ankles and wrists? How frustrating they are whenever you want to do a new tan but you can't quite get them off with a body scrub? Well, there's no need for body scrubs anymore. Just this mitt on wet skin (full instructions for use come with it). I use it all over my body before tanning and it leaves you squeaky clean and smooth...and most importantly, free of residual tan and ready for a new one :) Buy it here - and never pay for expensive scrubs again. 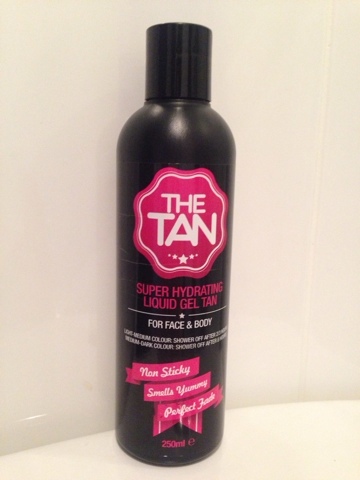 Back to the tans now and co-incidentally, both were created in Ireland and have just launched onto the market. That's the thing with self tan - it's continually being developed to be better, longer lasting, less smelly and more effective and both of these product offerings, while different, are ticking those boxes. First up, Bellamianta, which has been created by beauty experts Lisa and Linda, both local and both with an impressive background in the beauty industry. It's also made in Ireland - down in my mother's home county - Mayo. You can read all about it on the Bellamianta website - in brief, their unique selling point is that the tan has been formulated to be 'clean' and 'nutritious'....so it has no parabens, harsh chemicals, perfume, alcohol, animal derivatives, petrochemicals, sulphates or silicones. Additionally, Bellamianta tanning products contain one of the highest, premium grade DHA's which works with the skins natural melanin to provide a gorgeous golden tone. It's also filled with natural moisturisers making it suitable for dry irritated skin and is enriched with shea butter and aloe vera. The second product I've been testing is The Tan, which has been developed by two Dublin based therapists...both called Jennifer. The Super Hydrating Liquid Gel Tan has a subtle watermelon scent and lots of impressive ingredients like hyaluronic acid (which when applied to the skin, penetrates into the dermis to boost elasticity and hydration), sunflower seed oil, shea butter, sweet almond oil and a naturally derived DHA. How did I get on? Well I can say at this early stage that both products are very impressive. I've tested each one 3 times over a period of a couple of weeks - I don't think you can properly test a tan on one application. I'm a long time fake tanner so I know what I'm looking for in a product and I wasn't paid by either company to say nice things...so you can be sure this is an honest review. Bellamianta won this hands down. I really like the packaging...it's clean looking and the gold detail on the box and the white bottle appealed to me and would make me want to buy it. I wasn't overly wow'd by the black bottle that The Tan product came in. I realise this is personal preference and obviously at the end of the day, it doesn't reflect what is in the bottle. 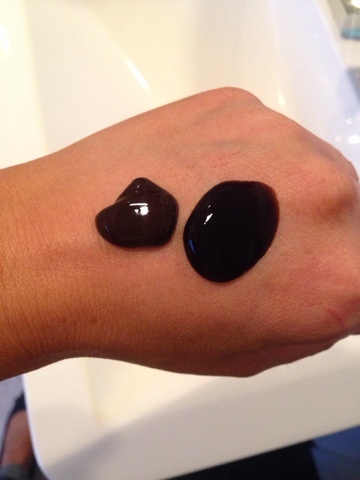 Both products are what's called 'dirty' tans, meaning they are dark in colour, allowing you to see where you're applying them. This can be scary but don't worry - you won't look as brown once you have your first shower! Bellamianta is every so slightly browner in colour and held its shape on my hand. The Tan is darker in colour and more runny (as you can see on my hand while I was taking this photo). The texture is somewhere between a cream and a gel in both cases and you will need to use a mitt to prevent staining of your hands. Bellamianta dries quicker meaning I had to work faster with it. The second & third time I used it, I applied a light body cream all over about 10 minutes beforehand and then started tanning. I felt this gave me more time to spread and correct. The effect is a lovely golden and more realistic colour and I could dress almost immediately after application. The Tan is more spreadable and easier to work with once it's on the skin. Even a minute or so after working on an area, you could fix any streaks or gaps. I only used body cream on the drier areas (front of foot/knees/elbows) prior to using it. The colour is not as golden as Bellamianta but is just as obvious once you've applied it. It took a longer for this to feel dry enough for dressing. The Tan just pips Bellamianta here - but not by much as I preferred the initial colour I achieved using the Bellamianta and the quick drying is a bonus when you're in a hurry. I just found The Tan easier to work with and correct so it's going to be easier if you're a novice to dirty tans. Both products give you a great colour - perfect for getting dressed and heading straight out. Be careful what you wear though - keep the colours dark. With both tans, I had wear off on clothing and I had to change the bed sheets the next day - but it does all wash out. I usually tan the evening before I know I'm changing the sheets anyway - the sign of a tanning pro, eh!? In both cases, I was a bit shy with the colour on my first application as it is so dark going on! On my second and third applications, I properly slapped it on and therefore got a good colour from both after showering. There's no clear winner here - they both performed well. I will say it's always a bit disappointing when you shower as you kind of get used to the initial colour but it means the post-shower colour is very natural and less 'false tan' looking. The bonus is that both tans are great to apply before a night out - giving you a brilliant tan for an occasion. Then shower the next day and you've a more subtle tan for day-to-day. For me The Tan lasted a bit longer but there was some patches as a consequence...a normal thing when you have tan on for a few days and nothing the Avenue 57 Mitt couldn't deal with! Smell-wise, Bellamianta was the winner with absolutely zero smell. It wore off faster but I didn't have any patchiness, making it easier to re-apply..I didn't use the mitt in between my 1st and 2nd application. The Tan is 22.99 euro for 250ml and currently, on their website, it's not possible to ship it to the UK on a reasonable postage rate. I've flagged this with the team there and they are looking into it. You can order it within Ireland though with a more palatable postage rate and there are local stockists also. Check the website for more details. Bellamianta is £14.99 for 200ml and is available on the website on this link. There is a luxury mitt that you can also buy on their site. 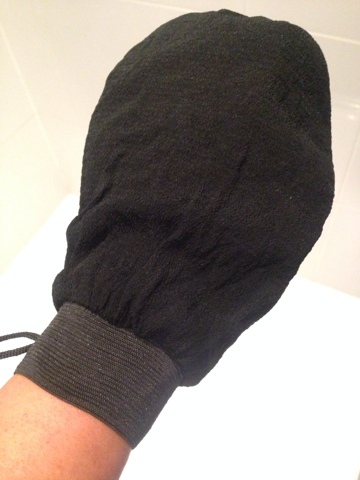 I've used it too and it's quite good although not essential if you have a mitt of your own already. I should say that The Tan also sell a Gradual Daily Bronzer that they suggest you use every day after tanning, to maintain the colour. Overall, there's not much between both of these brilliant tans and I am happy to use up both bottles until they're empty. Faced with both on a shelf to re-buy, I would probably opt for Bellamianta as I liked the clean and nutritious aspect of the product and the fact that the tan is a more natural colour on my skin tone. But honestly, this was a hard call to make. Both companies clearly know what women are looking for in a tan these days and have addressed it in their products while still maintaining their own identity and selling points. So I have to finish by saying well done to both of these teams of Irish women for creating two amazing products that in my opinion are right up there with the big hitters in the self tan market. It will be my pleasure to continue to support them going forward and I urge you to do the same via their social media accounts and if you see the products for sale in an outlet near you. There's really no excuse for not faking it anymore with tans of this calibre at such affordable prices - and let's face it, what are the chances with this weather we've been having anyway?! Disclosure - I was provided with a free bottle of each of these tans but was not obliged to blog or feature either. I bought the Avenue 57 Mitt myself as I heard so many good stories about it from other Avenue 57 ladies. Thanks for supporting the brands who support this blog! Lovely review Avail and thank you for featuring. Going to share this as we are all looking for new tanning products. Also going to buy but I can't decide which one!! Avril is what I meant to type! Interesting review. I've discovered that The Tan is the brainchild of beauticians just up the road from where I live! Question is ... do I abandon my Cocoa Brown Tan to try one of these? ?